I came to the glory of Sean Cummings’ Irish Pub very late in the game. That restaurant shut down around 9 years ago (making way for Land and Sea, followed by the recently departed and dear to my heart Bacon) and I only got to dine there as it was winding down. My review of Bacon was one of the first on the site and it was my very first “viral” post. I remember looking at the numbers and being completely flabbergasted by how many people from around the world were interested in reading about a bacon restaurant, which is a testament both to Sean’s cooking and his ability to gauge the interests of local diners. When May Avenue mainstay Sophabella’s went sophabelly up on Jan. 1, 2018, Cummings swooped in like an Irish bird of prey and took over the building. I mean, he has a lease and everything. It wasn’t like he just came in pirate-style and buckled his swash all over the bar. That spelled the end for Bacon, which has once again become the annex for Vito’s Ristorante (owned by Cathy Cummings), and it breaks my cold, dead heart. But the rebirth of Sean Cummings’ Irish Restaurant is reason for excitement and joy and a pint or several of Guinness while listening to Irish music. There’s a very warm feeling inside the restaurant. Maybe it’s from the soft lighting and dark wood or perhaps it’s the gentle banter of the musician in the middle of the room. Or maybe it’s a menu where every dish is suffused with charm, good cheer and a metric ton of potatoes. One warning: If you are averse to live music, choose your seat carefully. Sean Cummings’ Irish Restaurant takes its music very seriously, which means there’s a better than average chance you’ll find a live musician in the dining room. (I heard they tried dead musicians for a while, but it gave the place a weird vibe.) Check the list of musical acts here. Choose a table on the north end of the building if you’d rather have a quieter meal. Look, I wasn’t kidding about the potatoes. I can count on one finger the dishes I tried at Sean’s that didn’t include potatoes it was the Irish breakfast ($10.99). Why no hash browns or home fries? There’s no room on this meat-tastic plate. You get rashers of bacon, both black and white pudding, a crispy banger, a grilled tomato and a pair of eggs. Are Irish people not allowed to eat lunch? Like, is the lunch hour at Irish companies non-existent? Because I don’t know how anybody can eat an entire Irish breakfast in the morning and still fit in any food before 7 that night. Granted, the restaurant opens at 4 p.m., so I guess nobody is actually eating an Irish breakfast for breakfast, but it’s still a massive amount of food. Black and white puddings are types of sausage, but think more like sausage crumbles than a link. 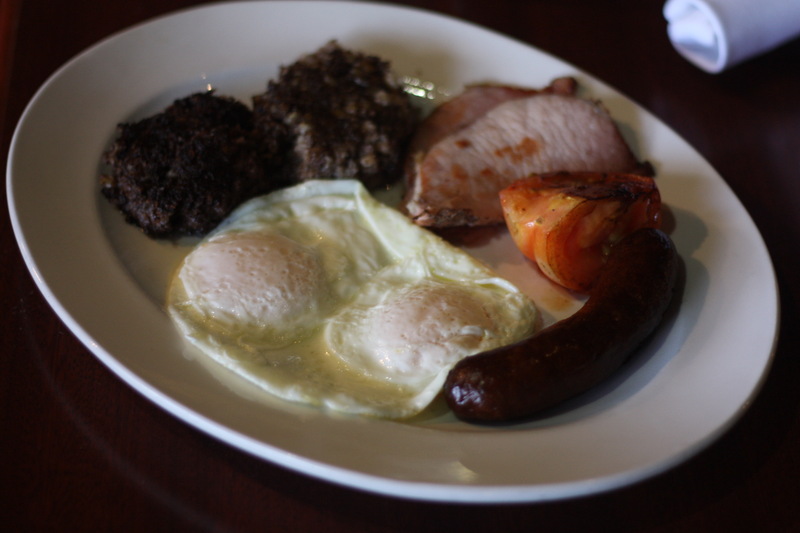 Black pudding is made with pork blood, which may sound VERY HEAVY METAL, but it’s just traditional Irish fare. 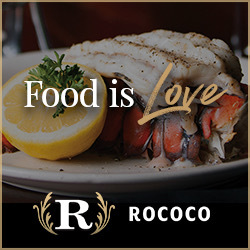 One thing I really appreciate about the restaurant is how Cummings and Chef Chris Bickel stay true to the spirit of Irish cuisine without slavishly adhering to practices or methods that diners wouldn’t enjoy. For instance, Bickel cooks the blood in such a way that it removes the unpleasant minerality from the flavor. What you’re left with is a rich, hearty sausage that is mild with hints of aromatic five spice. The white pudding is even milder, but both have a hearty, filling texture. The bacon reminded me of ham, and not in a bad way. It had a steaky, solid texture and lovely salty flavor. I cracked open my egg yolks and stirred it around with bacon and it was heavenly. The banger was a real delight. It’s not made locally, but not everything can be, so I don’t mind. The natural casing had a glorious snap and crunch to it and the flavor was less gamey than some more traditionally made bangers. Speaking of straying from tradition, I have no doubt that potato cakes in Ireland are tasty and wonderful, but I don’t know if they’re often made with chorizo, as the Farmhouse potato cakes ($5.99) are. The potatoes are fluffy and smooth, the chorizo is pretty mellow and the carrot puree brings a mild sweetness. As a pre-dinner appetizer, I might steer you toward a less-potato-ey dish, if only because the rest of the menu is so potato dense. But if you’re looking for something a little warm and a little filling while you down a couple of pints, this is a winner. Is it weird that I wasn’t that into the Shepherd’s pie ($10.99)? I think I was hoping for a thicker gravy in the stew at the bottom and the mix of vegetables, while traditional, just didn’t do it for me. Your mileage may vary, and I’m sure it does for many of you. 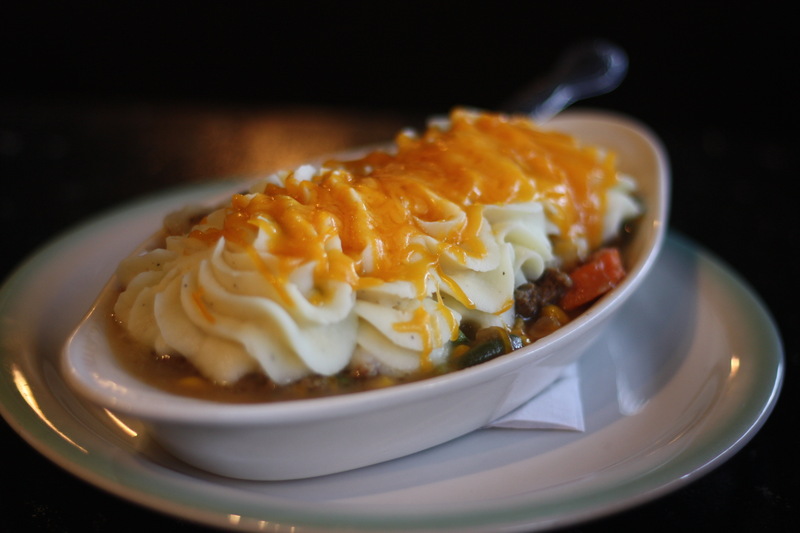 With temperatures plummeting, a dish of beef stew covered in cheesy mashed potatoes is pretty much ideal. With a thicker gravy, and a bigger emphasis on the savory elements of the beef tips and gravy, I think I’d be on board. 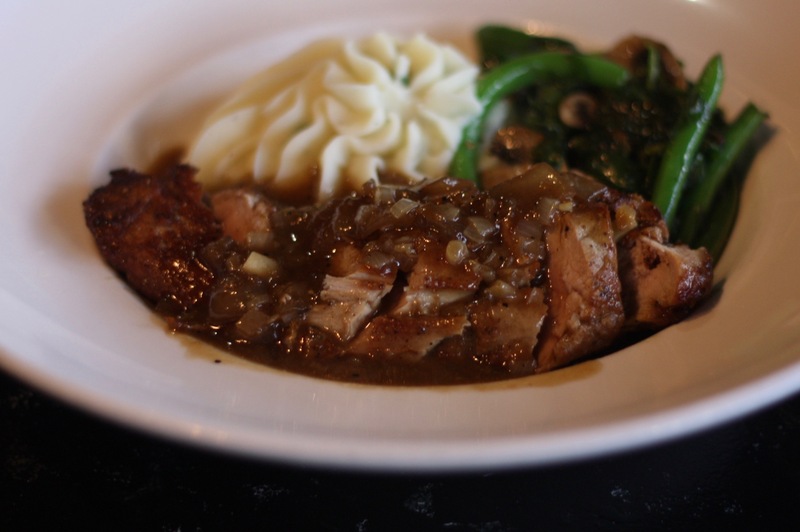 You absolutely will not need any help getting me on board for the pork tenderloin ($18.99). It’s not the easiest cut of meat to prepare, frankly, and I’ve had more than my share of sub-par tenderloins. But Bickel treats this like it was a baby...that he was planning to eat later. Served over—you guessed it—mashed potatoes with a hearty blend of pan-roasted green beans, sauteed spinach and mushrooms, this was my favorite dish at Sean Cummings’ Irish Restaurant, and that’s no easy feat. 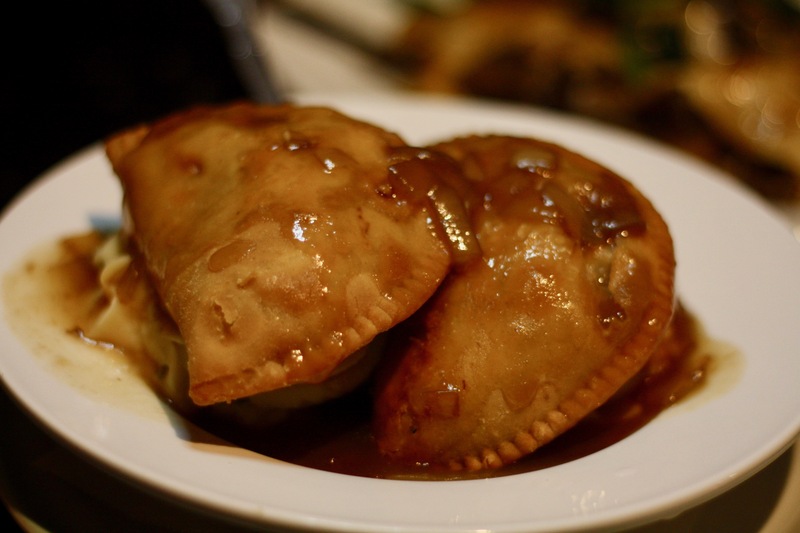 For instance, I really loved the meat pies ($10.99) I took down with the help of my friend Sara. She wasn’t happy about the onion gravy that was poured over the pastries, because it kept the crust from perfect crispness, but I didn’t mind. The onion gravy is delightful, especially when it’s mingled in with the accompanying potatoes and the beefy interior of the meat pies. That said, you can ask for it on the side, if you’re so inclined. I feel silly saying this, because so many people already know it, but it took years for me to understand that corned beef had nothing to do with corn, so I feel obligated to share it with you. 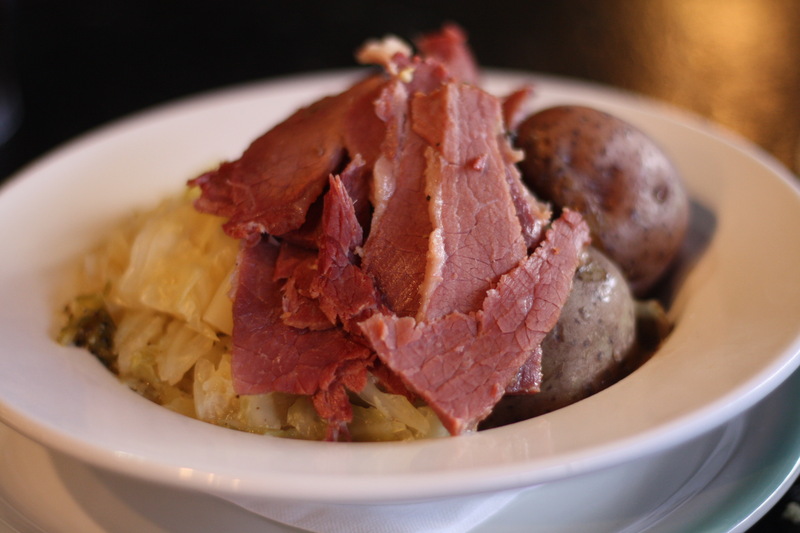 The house-made corned beef and cabbage ($9.99) is a huge piece of brisket that is dry-brined in salt and spices. The size of the salt used in the original versions of this dish were the size of kernels of corn, thus “corned” beef. The spice turns the beef a fetching shade of pink and gives it a lovely rich flavor. Served with roasted cabbage, you’ll find there’s no bitterness at all. It’s a hearty dish, made more so with roasted red potatoes, and I found the texture of the meat delightful. Some corned beef is brined wet in a liquid salt solution, but Sean Cummings’ is dry brined for anywhere between 10-14 days, which gives the meat a firmer texture. I’m not Irish and I don’t know what a traditional Irish pub is supposed to be, but I like Sean Cummings’ Irish Restaurant a lot. I like the warm interior. I like the lively bar. I really like the food. I’m...okay...with live music. But I’m very pleased to have this restaurant bag in OKC. 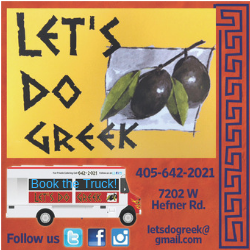 If you haven’t been, you really ought to try it for yourself.